Having a baby? Consider midwifery care! 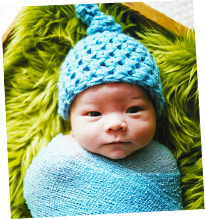 Choosing midwifery care means you are choosing a distinct style of maternity care, focused on childbirth as a normal healthy process, continuity of care and informed choice. Midwifery in Ontario is a regulated health profession, and has been since the Regulated Health Professions Act of 1991. Midwives work as independent primary care providers and our services are funded by the Ontario Ministry of Heath - there is no cost to you! 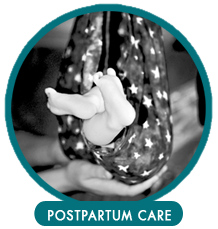 We are a group of midwives who provide continuous, personalized and evidence-based care during pregnancy and early postpartum to individuals planning a home or a hospital birth. It is best to contact us as soon as you find out you are pregnant. 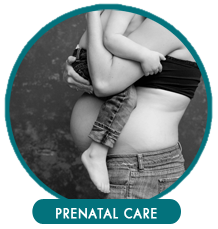 Not only is demand for our services high, but it is also beneficial to access prenatal care at the beginning of your pregnancy. There are occasionally openings for clients later in pregnancy. Call anytime. You do not need a referral from a physician to see a midwife. Click on the "Intake Form" tab at the top of this page and fill in your information if you are pregnant and considering midwifery care. We will then contact you and guide you through the process. To find out more about midwifery click on the circles above. The links will take you to the Association of Ontario Midwives videos "Prenatal Care", "Labour and Delivery" and "Postpartum Care". KGH has 2 birth tubs installed! Beautiful birth tubs are now available during labour to any client or patient of RM's, GP's or OB's who meet the eligibility criteria (healthy low-risk), and depending on availability of room 4 and 6. At the moment only RM's offer water delivery. Interested in having a homebirth, or learning more about it? Sign up at the front desk for one of the monthly info sessions. A midwife will cover the benefits, research, statistics, emergencies, & walk through our entire set-up and equipment. Anyone welcome, but space is limited.